Running well is part of your job to be in the military. You have to run. What if you could love running and transform it from something you have to do into a practice that you look forward to and truly enjoy? 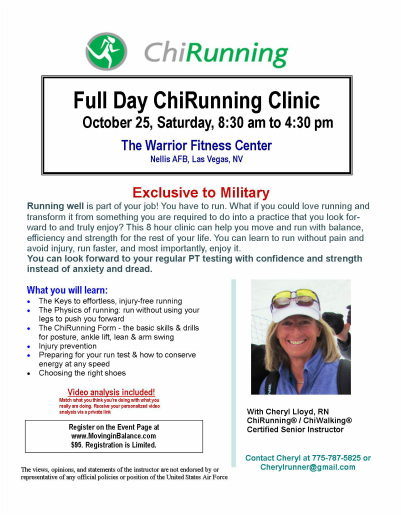 This 8 hour clinic can help you move and run with balance, efficiency and strength for the rest of your life. You can learn to run without pain and avoid injury, run faster, and most importantly, enjoy it. You can look forward to your regular PT testing with confidence and strength instead of anxiety and dread.